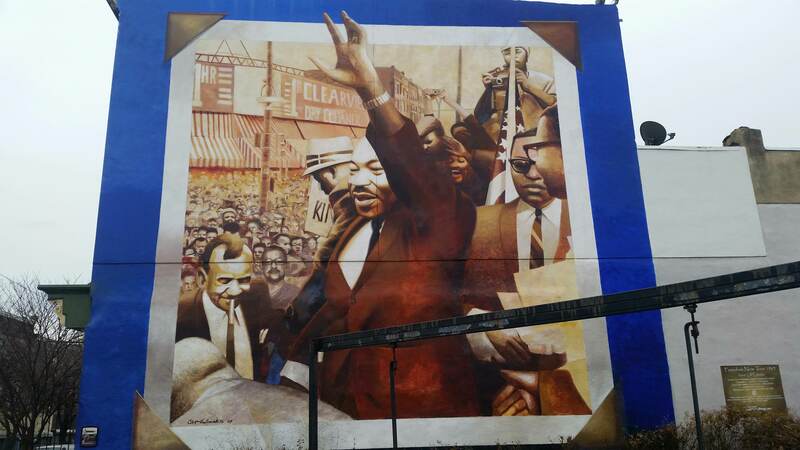 Image caption: “MLK on Lancaster Avenue” mural by Cliff Eubanks at 40th and Lancaster. Photo by Avery Minnelli. This is the question that Dr. Martin Luther King had to face on that long road from Georgia to Alabama to Mississippi as he saw the multitude of poor people, black and white, across the South. It was becoming increasingly clear that the problems of racial injustice and economic injustice could not be separated.